This level is easy and just follow few strategy steps to complete this level. 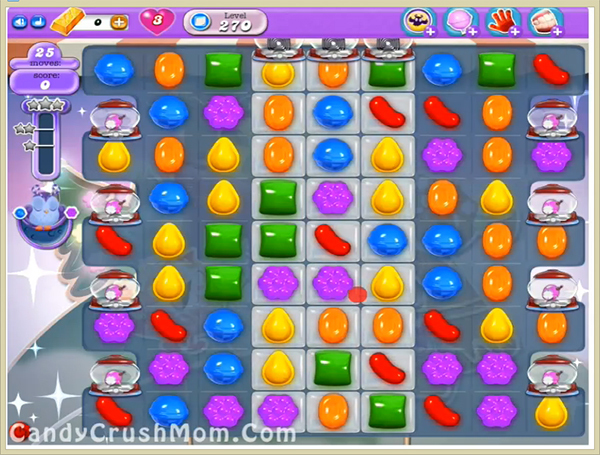 First try to play on center and break jellies or make special candies any where you get chance. After 10 moves we you will have moon struck then use special candies that you made and break with other special candies to break more jellies. That will help to complete this level easily within 25 moves. We completed this level with 378340 score using special combos that help to complete this level with three star score plus with just 13 moves.